During HAMCOM a few people asked about a color cloud brochure handout for spotters. The printed version of this brochure may be cost prohibitive as a general hand out. However, I found the PDF versions online at the following web site locations. The JetStream - An Online School for Weather provides details associated with the cloud chart. 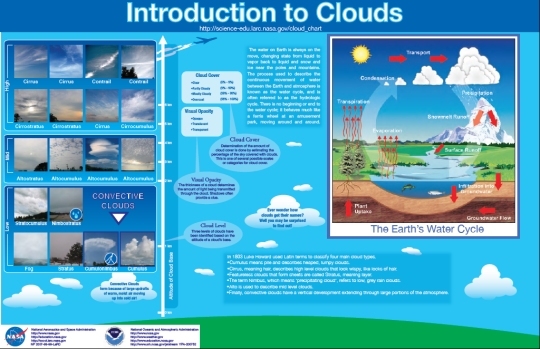 NASA / NOAA Cloud Chart - Introduction to Clouds.